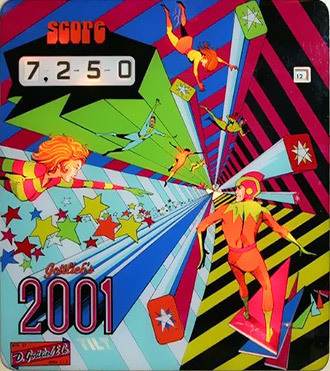 Art from Gottlieb's 2001 pinball machine. "Wacky is filling your car's gas tank with 3-octane gasoline. Absurd is filling your car's gas tank with a ferret." These tropes are here to screw with your mind. 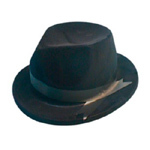 These are tropes about the absurd, dadaism, nonsense, non sequiturs, the surreal, and the bizarre. note But not the Bazaar; that's something else. Living this life is so absurd that it actually becomes a joke. A space-time rift that looks like an LSD trip. An advertisement in a work is ironic or otherwise inappropriate to the action. Spatial arrangements that cannot be explained by the ordinary laws of physics. Something is declared true because nobody in their right mind would make up such a ridiculous story if it were false. A non-sequitur answer when a more obvious solution is expected. The lofty or serious juxtaposed with the ludicrous or commonplace. A totally random event is inserted into a serious story, then never referred to again. Buildings built in impossible or nonsensical ways. Elemental Powers out of the ordinary. A Big-Lipped Alligator Moment that takes up a whole episode, though the episode itself is internally consistent. An Alternate Universe where everything is the opposite. A change in subject with no time to react to the previous topic. I'm on a horse. The game's rules are whatever you feel like. Completely tasteless, over-exaggerated, theatrical style, usually So Bad, It's Good. You pretend you can win the argument if you get the other guy to shut up by any means. A character who is just plain out there. An inanimate object treated by characters as a real person. Fascination with hands while on drug trips. A quirky character is more effective and/or awesome because of his quirkiness. A character remembers an event so ridiculous it couldn't possibly be true. Prepared for any and all situations. If something impossible is said to only happen if X will happen. Non sequitor humor tossed in. A strange and/or frightening ad that doesn't even make sense when the product is revealed. Comics consisting of surreal, non-sequitur humor. Clothing that moves around by itself. Although they probably smell funny doing it. It's animated and totally not made on drugs, we swear. Tunneling straight through molten core? A music sequence in a strait-laced film enters through a sudden Art Shift into Deranged Animation territory. A world comprised of dreams.. Breaking a lull in the plot with a spontaneously silly event, aka a deliberate Big-Lipped Alligator Moment. Indie True Art film that most people don't bother even trying to understand. Deliberately hyper-smybolic, surreal or nonsensical ending. A big foot comes out of nowhere and stomps someone to death. The situation has become so strange, surreal, or stupid that someone gives up trying to make sense of things. Troubled people curl up and go away in their heads to places where everything is warm and fuzzy and candy corn. Just because someone evil did something doesn't make that thing evil - but people treat it like it was. A character consistently denies doing something even through incontrovertible evidence. Anything can cure poison if the plot requires it. A work in a certain medium behaves as if it was in another medium. A line of rationale so illogical and demented that it defies attempts to rationally argue against it. Standard, evil plot-critical machines have that one lever/function that seems to be totally unrelated to the rest of it. A normal person wanders into a crazy place. A "scientific" device that runs on something impossible or nonsensical. The logical explanation and a blatantly impossible and ridiculous one are presented as the only two possibilities. It doesn't. The Epileptic Trees remain epileptic unless you possess Fridge Brilliance. When things are too heavily loaded with symbolism or metaphors to make sense. Ingesting something hallucinogenic results in trippy visions. An innocent character who constantly creeps out those around them. Saying something random after being clobbered. To describe this one, we'll need a sail, two yards of rope, and at least one strong yak. An event in the past that's referenced but never explained. Usually Played for Laughs. An unholy dead ringer of an often sane character. A Badass Boast of having killed somebody with something nobody would consider a weapon — and then not explaining or showing how it was done. Body parts that have a mind of their own. Sometimes they succeed in displacing the brain as the seat of authority. Monster may or not be terrifying, but is definitely surreal. Someone or something that is innately self-contradictory. Changing the definition of a word to suit your purposes. An implausible and out-of-character misunderstanding. When a convincing argument causes something to stop existing. Sending anything other than sound down the phone lines. An area where the laws of physics or reality just stop applying. Do something outrageous enough and everyone will be too dumbfounded to interfere or punish you. Tell somebody that they are unable to do what they are doing, and they will experience reality as they stop. For when things only work when you don't understand them. A shipwreck is found in the Sahara. Isn't that weird? A consistent escalation in whatever the heck a work is doing. An anecdote or fable with a nonsensical moral. Some people just can't get over the fact that "their side" lost some conflict long ago. It's scary and it makes no sense. Rule of Funny meets Dada. Not the face of someone trustworthy. Not really a face at all. A theme tune with random lyrics that has little connection to the show. Rated M for Manly exaggerated to absurd levels. Ordering someone to not think about something is impossible and inherently paradoxical. This is an image. But it doesn't exist. Anyone can understand this tripe, it can't possibly be artistic! Some celebrities allow their reputation to become so bizarre that any story about them is believable. A visual sound effect for something that doesn't actually make that sound. Do something stupid enough, and you'll be rewarded. A place where the laws of physics and logic no longer apply. A strange outburst from someone whose mouth is awake and functioning a split second before their brain is. The creator of a work outright admits it was deliberately made to confuse the audience and poke fun at their attempts to find meaning in it. A wave comprised of infants. What else? A person mentions something utterly weird in passing as if it were quite normal. If someone is "weird", it's acceptable that they do things that normal people couldn't get away with. There's no way someone could have come up with this when they weren't high — oh wait, they did? A city or place whose location is never revealed. When someone is so devoted to a hobby/inanimate thing that they may as well go through with it and get the tax benefits. A random string of disturbing, ominous but ultimately meaningless phrases can indicate that something really creepy is going on. Take Inherently Funny Words and try and combine them to make a funny sentence. "I believe in Meaningless Meaningful Words." Nothing makes sense in this place. World Gone Mad doesn't begin to describe this place.